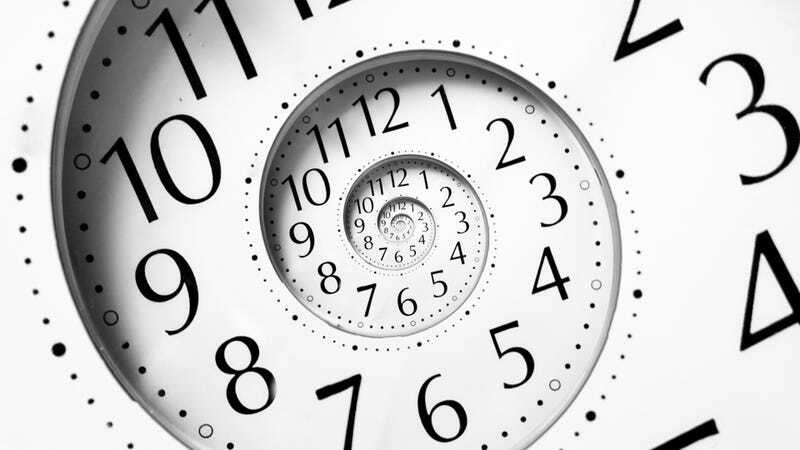 Is it time to do away with leap seconds? For decades, the world has relied on incredibly accurate atomic clocks to keep time; but atomic clocks are much more consistant than the rotation of the Earth, which varies in speed ever-so-slightly as it spins about its axis. Consequently, every few years, the time based on the Earth's rotation falls out of sync with time kept by atomic clocks. Since 1972, leap seconds have been keeping atomic clocks and Earth's clock in phase. But today, a global panel of experts at the International Telecommunication Union will convene in Geneva to discuss eliminating leap seconds entirely. According to the BBC, those seeking to do away with leap seconds argue these incremental adjustments in time are beginning to pose bigger and bigger problems for navigation and telecommunication systems like satellites, the internet and flight control. In an interview with the BBC, Felicitas Arias — director of the time department at the international Bureau of Weights and Measures (BIPM) in Paris — said that leap seconds are merely a holdover from an age when they were necessary for charting the seas. "Today," says Arias, "maritime navigation can use other ways to access rotational time... So there is no more real need for that synchronisation with a leap second." But that's not entirely the case. Remember: eliminating the leap second would signal a complete severance between man-made time and the natural rotation of the Earth, marking what Peter Whibberley — senior research scientist in time and frequency at the UK's National Physical Laboratory — calls "perhaps the most fundamental change to timekeeping for hundreds of years." Over the course of tens, and eventually hundreds of years, humanity's atomic clocks and the Earth's rotational clock would drift apart — first by minutes, and eventually by hours. According to David Willetts, the UK science minister, "[The UK's] position is that we should stick to the current system used throughout the world... Without leap seconds we will eventually lose the link between time and people's everyday experience of day and night." There are, of course, ways that Willett's concerns could be addressed. In 2005, for example, the US proposed the leap second be abolished and replaced instead with a leap hour (the proposal obviously failed to pass). But the nature of Willett's reservations still raise interesting questions about our future relationship with Earth and nature. Is humanity reaching a point where it could do away with something as fundamental as a time system that makes sense of periods of light and dark on the planet's surface? What effect would it have on the rest of the planet and its organisms? And hundreds of years down the road, who's to say that humanity will even be living on Earth anymore? If the countries represented at today's meeting cannot come to an agreement, a 70% majority will be required to do away with leap seconds for good. If such a consensus is reached, leap seconds would be abolished beginning January 1, 2018. Read more about today's meeting on CNN, BBC, and The NY Times.